My God. It's all made of chocolate. Look at it. Look at it, everyone. Bathrooms.com and Choccywoccydoodah, a U.K.-based team of designers and chocolatiers, joined forces for the 100% Belgian chocolate fixtures. The expensive set, which includes a bidet, tub, toilet and basin, was inspired by the common confusion of "suite" and "sweet" in Web searches. 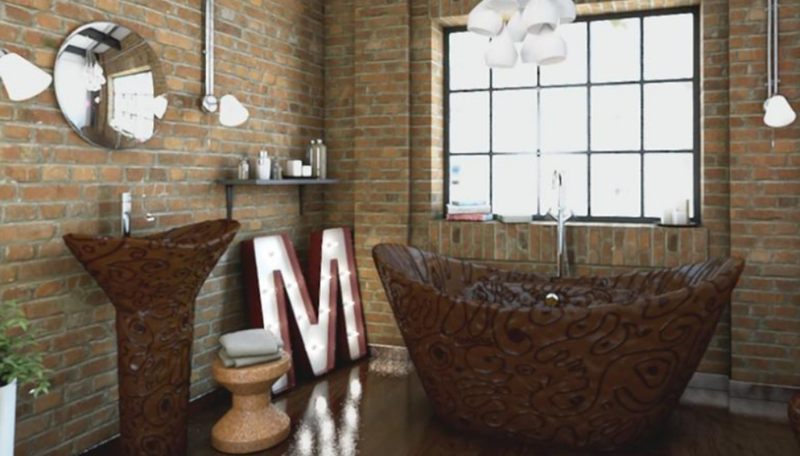 Here are all the redonkulous "facts" about the chocolate bathroom that you need to know! It contains 9.4 million calories worth of Belgian chocolate. (If you try to enter that into My Fitness Pal, the app will scream and rip a giant hole into the fabric of time to hurl itself into it.) They last about six months, but they take a few months to deliver because they are custom made. The whole thing will set you back about $133,000 (BARGAIN) or you can buy the pieces individually. Let's see, if I don't pay the cable bill this month and rob three or four banks on my way home tonight...yeah, still won't be able to afford of this. Oh well. The coolest thing about this is it basically means HOMER'S LAND OF CHOCOLATE DREAM IS BECOMING REAL.